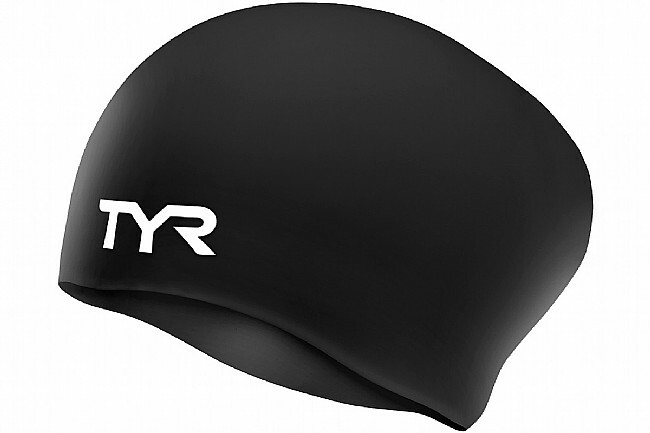 The Long Hair Wrinkle-Free Silicone Cap from TYR Sport, Inc., gives new meaning to the mantra “Long hair, don’t care!” The swim cap’s unique asymmetric design effortlessly accommodates long hair while reducing pressure around the head. There is also an improved contour cut around the ears. Constructed with 100% hypoallergenic silicone, this swim cap is extremely comfortable and durable while reducing drag in the water and maximizing speed.